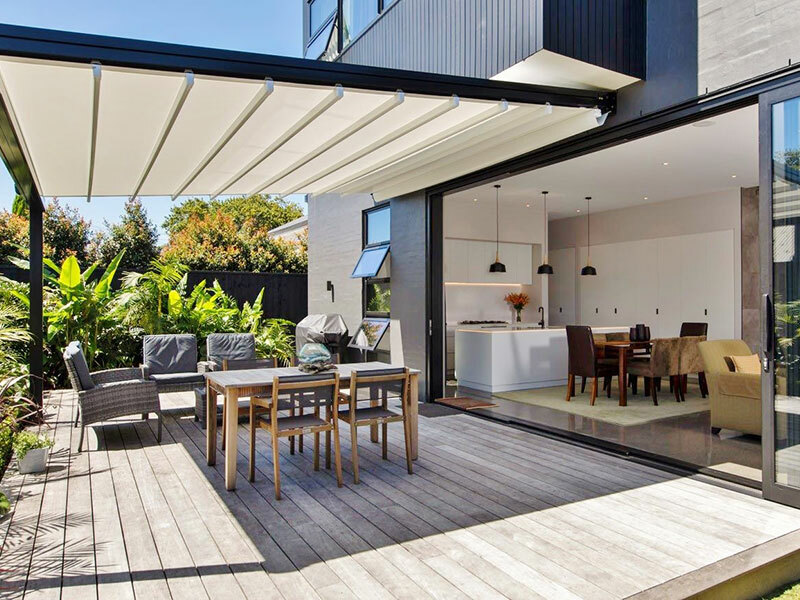 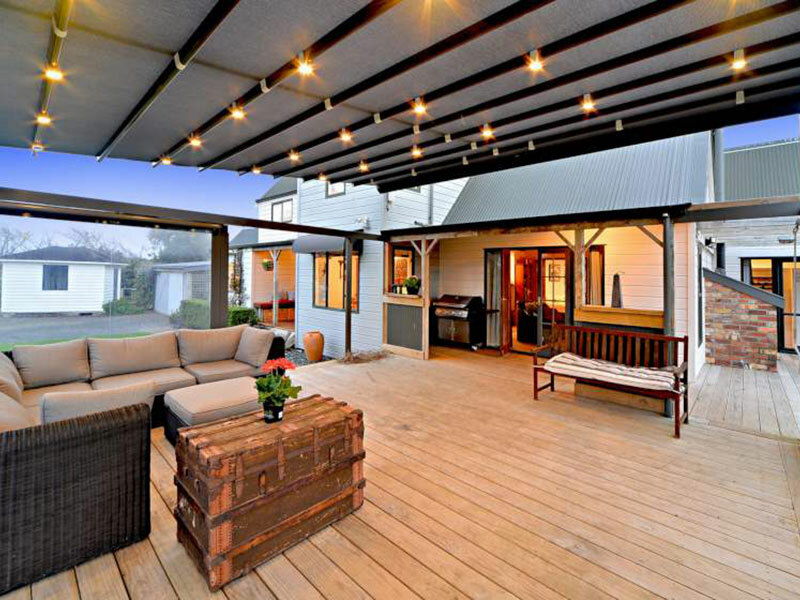 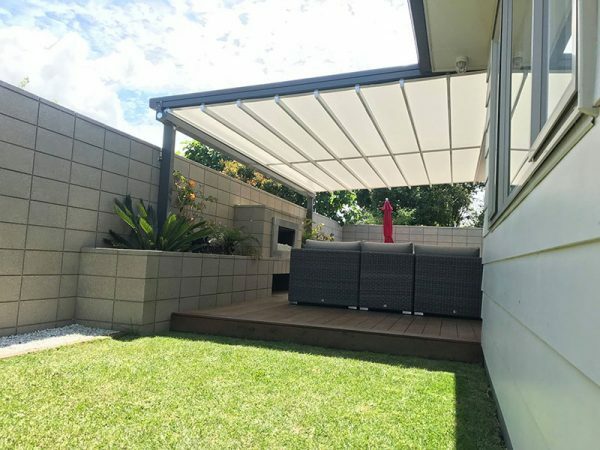 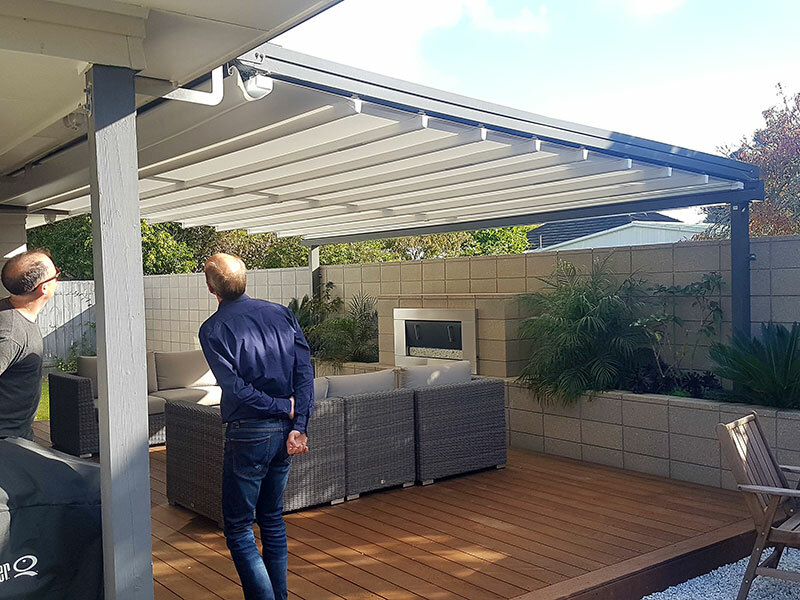 Nelson Shade Solutions supplies and installs OZTECH Retractable Shade Systems so you can create beautiful year round use of outdoor areas including decks and courtyards. 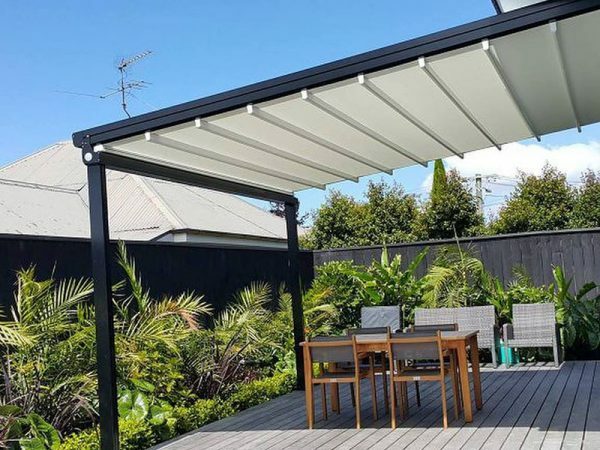 OZTECH Retractable Shad Solutions are 100% waterproof, are fully retractable, have an in-built guttering system, built-in LED light system, custom powder coating to suit, can resist up to 117km per hour winds, reduced noice, low & easy maintenance (most parts can be replaced easily), and comes with a 5 year warranty. 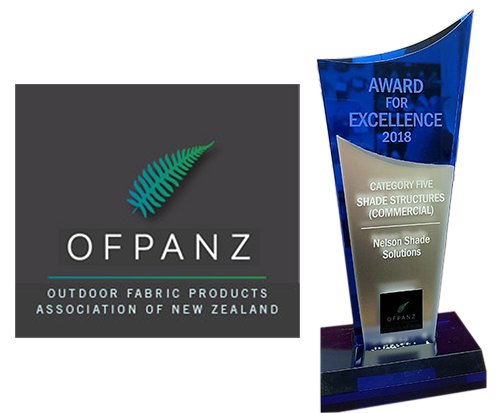 OZTECH uses Ferrari 502 PVC, made in France for over 60 years, has a proven track record in New Zealand for lasting 15+ years despite high UV radiation levels. PVC will resist heat and absorb UV rays with only 19% light transmission. 9 core laminated Elatech “transmission belt’ (similar construction to a car’s cambelt) with 6063 T5 Aluminium which is cooled from an elevated temperature shaping process then artificially aged. 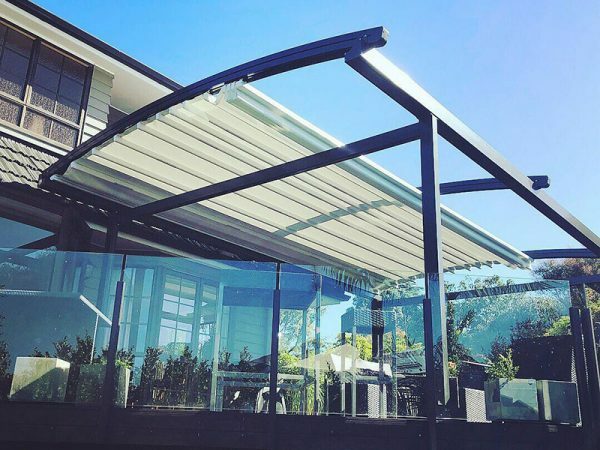 316 stainless steel for marine environments & extreme durability. 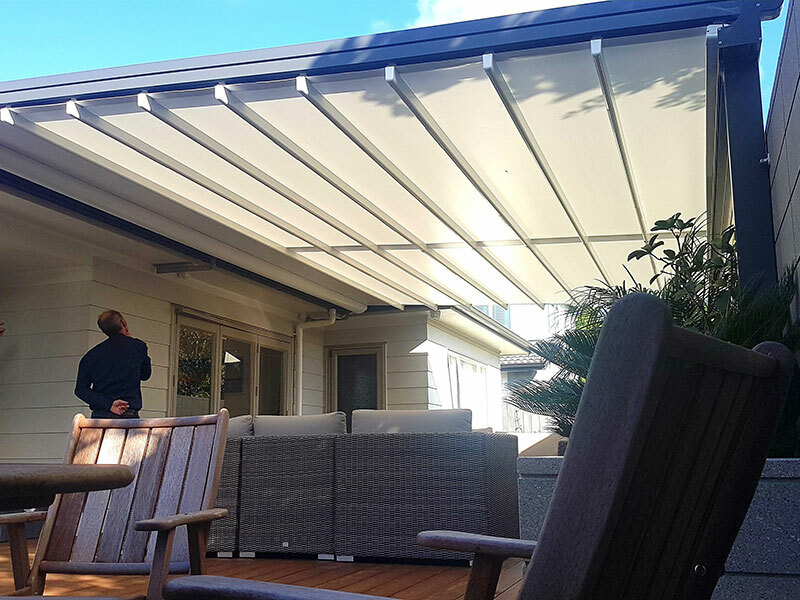 Up to 13m wide in one unit, up to 10m extension systems can be joined together. Can be joined to other Oztech systems seamlessly.